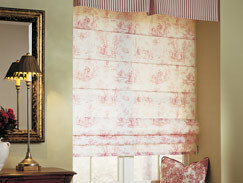 The timeless beauty of Today's Roman Shades makes them a perfect addition to almost any room. 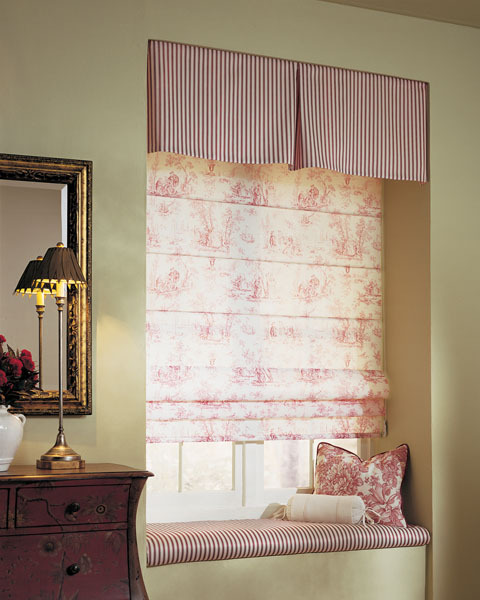 Graceful and luxurious, yet wonderfully functional, Today's Roman Shades are handcrafted in our fully integrated workroom with sewn hems and fabric covered head rails. They are available in a wide range of colors, fabrics, and textures. Fabric choices range from formal to casual. 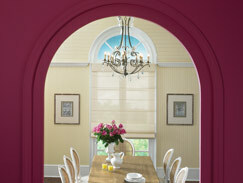 Today's Roman Shades offer gentle 8" to 10" Roman Folds when raised and also feature an exclusive gravity-feed cord lock and pulley system which means that your shades will open and close smoothly every time. For a complete selection of Roman Shades and a free in-home consultation contact the Today's Window Fashions location near you!